A war has been declared. A nuke has been dropped on a major city, killing and affecting millions. A prostitute in Nepal needs your help, and a poor farmer asks for more grain. The ice caps are melting, while energy use is on the rise. The economy is in the pits, people are living on the streets. People are dying of AIDS. These are problems that the world faces, or may face in the near future. These are real-time issues that the United Nations must resolve. These real world issues are the same issues that students from all over the world debate at Model United Nations conferences. On the weekend of November 11, sixteen Hanover High students, or delegates, traveled to Brown University in Providence, RI, to be part of BUSUN (Brown University Simulation of the United Nations). With delegates representing nations such as Sir Lanka, France, Iran, and Saudi Arabia, all of us were put in the shoes of actual political or diplomatic figures. At MUN conferences, delegates are divided into General Assembly (GA) committees and crisis committees. GA committees discuss and debate larger issues in depth, with the goal of passing resolutions to solve or help each respective issue. Crisis committees generally represent government bodies in crisis. Ongoing events are simulated for real-time debate, and action needs to be taken more rapidly. I was the Minister of Culture and Information of Saudi Arabia in a crisis committee representing the Saudi government, which was involved in a “joint” crisis with seven other nations (committees): Iran, Iraq, Turkey, Egypt, Lebanon, and the United Arab Emirates. With each country taking action by releasing news articles and passing orders, the committees kept everyone’s adrenaline pumped. For example, Turkey asked for help, and Saudi Arabia provided monetary aid. A more exciting incident was Iran’s press release stating they would fire a nuclear warhead towards Israel and the rest of the committees’ nations, along with the US attacking Iran. By drawing a war map on the board, our country orchestrated an attack on the unfriendly nation. After Saudi Arabia’s initial bombing, the US sent a private communiqué (message) saying they would not help the Arab nations in the already declared war against Iran. Iran helped to stage a coup in Lebanon, “assassinating” the leader of that committee, while the US refused to help out in a war they had started. The committee sessions are intellectually straining, but you are debating issues that really matter in the world. In addition to committee, the conference hosts a “delegate social,” or dance. With a great DJ and plenty of fellow delegates from around the country, it was a great way to unwind after a day in session. Along with the dance, there was plenty of time to roam about Brown’s campus, shopping at the mall attached to the hotel and around Brown. There was also a fair amount of group bonding, both during dinner at an Indian restaurant, and in the hotel, playing classic games like “truth or dare” or watching rather frightening comedies on Adult Swim. 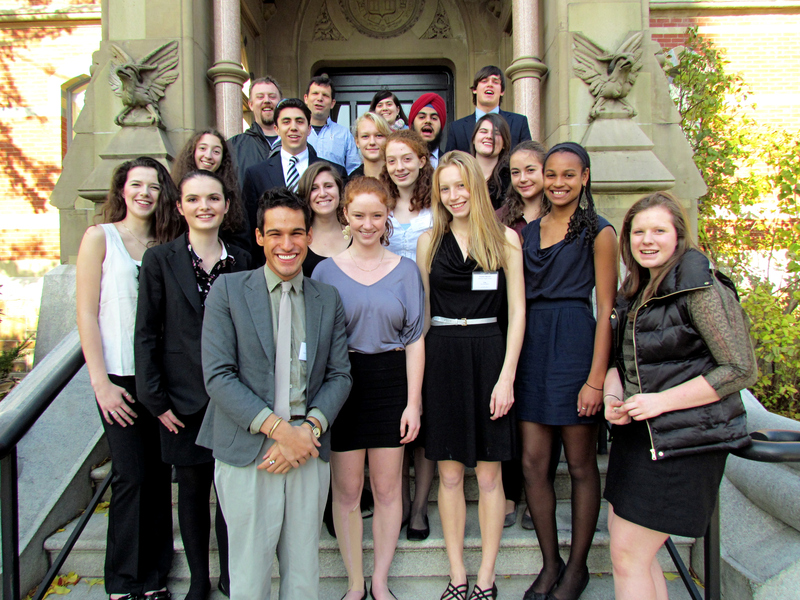 Model UN conferences are action-packed and full of excitement, in committee sessions and out. Each delegate has a different experience, but it’s most certainly brilliant. From the minivan ride to Brown, to the minivan ride back home, BUSUN was an intellectually and physically exhausting experience that left me wanting more.